On July 19th, the 12th Braz-TESOL National Conference will take place in São Paulo. 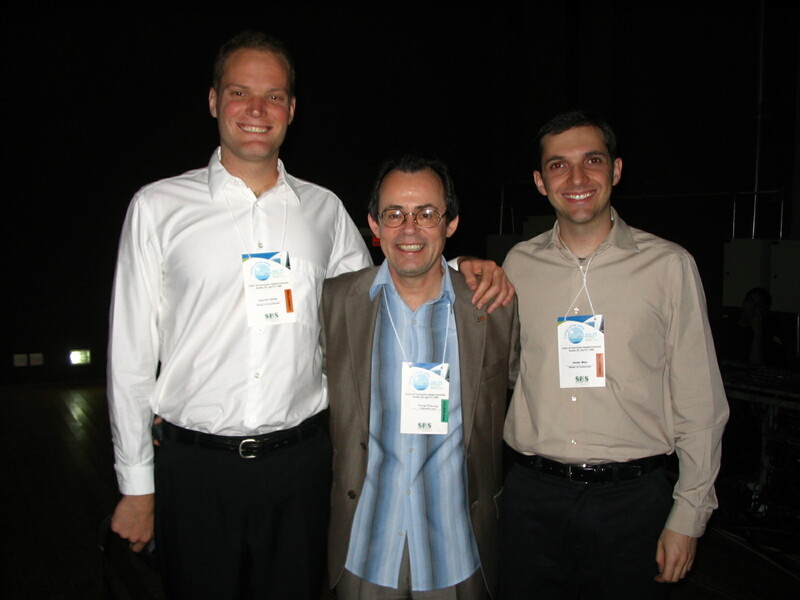 The very first time I attended a National Braz-TESOL was exactly in São Paulo, in the year 2000. I had the chance to be introduced to this world of ELT where there are many teachers trying to find out about what’s new in their profession, hear those iconic people we only had the chance to see in books talk, and if we were lucky, we could exchange a word or two with them. On that occasion, I was fortunate enough to attend Ken Wilson’s workshop on Drama (here’s a link to Ken’s blog and twitter). That was one of the highlights of the convention for me, as it instilled in me a desire to start a Drama club in the schools I worked. I could finally start that in 2003, when I was teaching at a different school. Last time I checked, the Drama club is still running and doing very well. Another highlight of the event for me was Adrian Underhill’s workshop on pronunciation. Being completely honest, that’s the first recollection I have of the International Phonetic Alphabet (IPA) and I was truly gobsmacked for not having been properly introduced to that earlier by my teachers. I mean, of course I’d seen what at the time I called funky symbols in dictionaries, but I didn’t know there was an international board that regulated that ‘periodic chart’. Underhill spoke about his book entitled “Sound Foundations” at the time and it’s also something that made me realise how important teaching pronunciation is. As I’d never lived abroad myself, I always felt that pronunciation was an area I had to improve if I ever wanted to take teaching seriously. That workshop (you can see short sample of it here – video 1 out of 4) was also something that made me think about a couple of things related to ELT and I believe it’s also shaped my current beliefs. 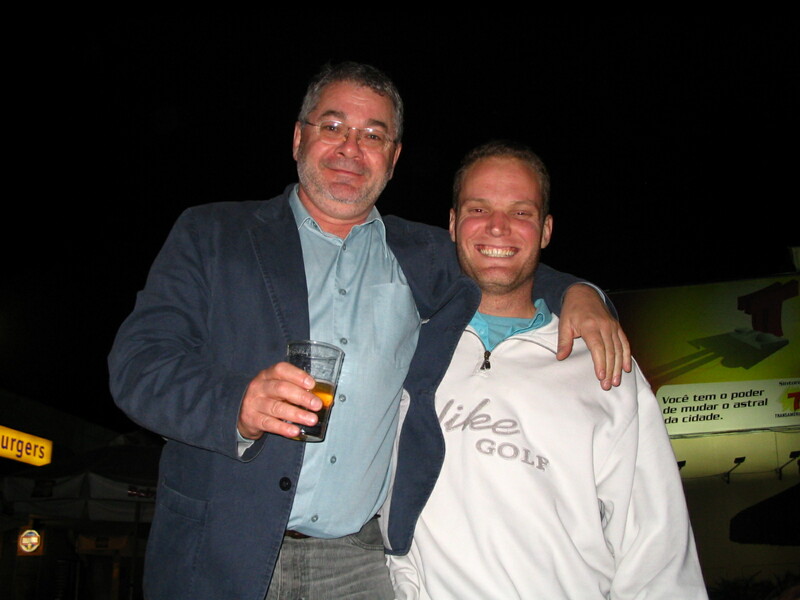 Another thing that I remember is the person who introduced me to the world of Braz-TESOL. He was one of the very first bosses I had and who was also one of my former teachers when I was studying English – Rogério. We actually went to the convention together and had it not been for him and the other boss I had at the time – Virgílio – I probably wouldn’t have decided to really take ELT as a profession. I’m grateful to them and I’m also happy to still be able to be in touch with two of the people I look up the most. 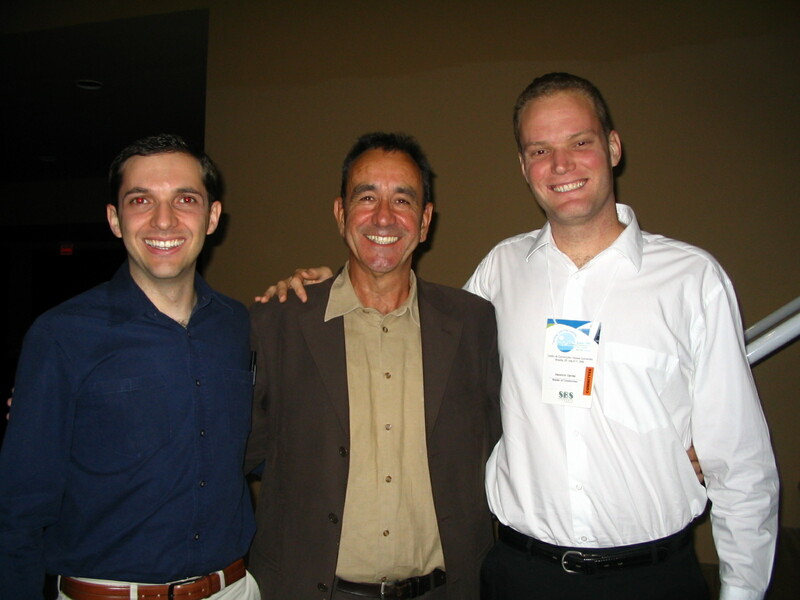 I remember that it was upon returning from the Braz-TESOL in y2k that I first thought it would be nice to start presenting workshops, and the very first workshop I presented was only possible due to, again, Rogério’s support. He was the one who said we could present something together in a regional Braz-TESOL, and so we did. I guess one of the reasons why we attend these workshops is to spread the word and share what we’ve learned. I rememeber we talked about ice-breaking activities and Ken Wilson’s workshop on drama was actually a big source of inspiration. I’m pretty sure I profited from a lot more during that 2000 Braz-TESOL convention, but these are the highlights. As digital cameras weren’t that popular back then, I haven’t got pictures in my computer to upload to the post. 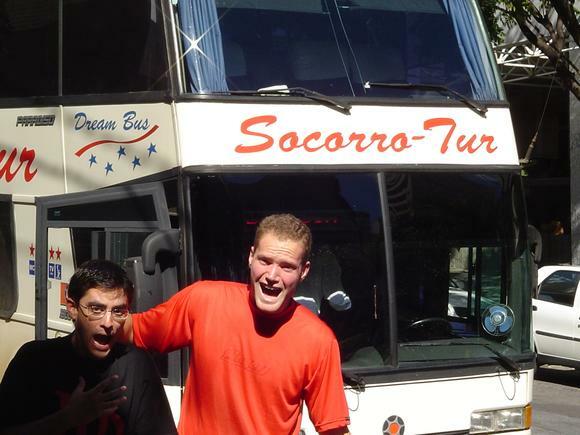 Gustavo and I - Would you go on a bus called "Help-Tur"??? 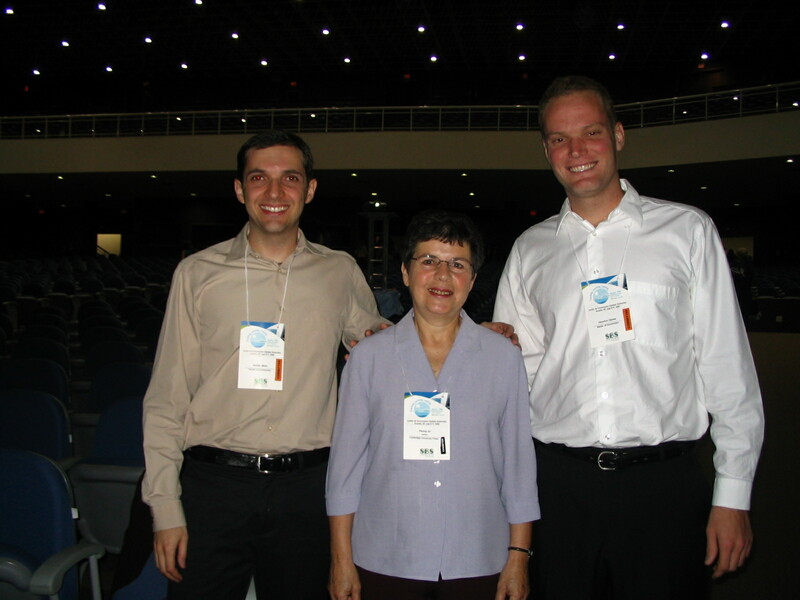 The second time I attended a Braz-TESOL convention was in 2004. As I already “a bit” more experienced in the area, I could actually relate to some of the names of presenters and some of the topics that were being discussed. One of the things that worked a lot better for me in that convention was networking. Actually, it was in 2004 that I had the chance to meet Terry Shortall, who is probably the guy who influenced me the most to take my MA at Birmingham University. I also had a better chance to bond with some of my co-workers at the time, among them I can highlight Helder Melo, Gustavo Barcellos, and Shaun Dowling. On the left you can see one of the pictures we took when we saw this bus. Come on…. HELP tourism?!?!? Even though we couldn’t really attend many workshops, we did manage to sneak in few sessions, but we always had to forewarn the presenter that we wouldn’t be able to stay until the end as we had to be in the auditorium on demand. We also had a shot at presenting a workshop together on pronunciation. Another highlight of the event was having the chance to get to know Terry a bit more and chat about the the MA programme. I still wasn’t so sure I was going to go for it, but it certainly helped me make up my mind. I still needed a little push, though, which was given by a very good friend of mine who is also going to the Braz-TESOL with me and who is also taking her MA. If it weren’t for this final push Uyhara gave me, I’d probably still be thinking about it instead of actually doing it. 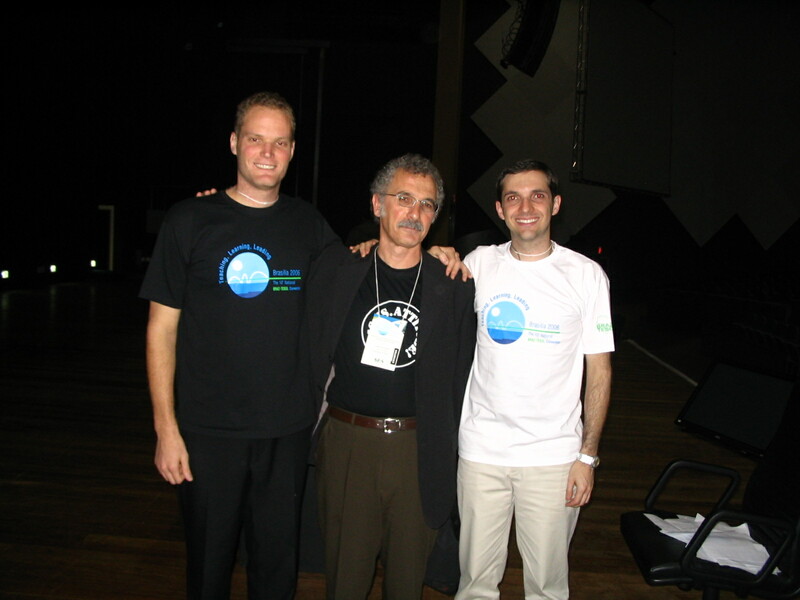 And now it’s the 2010 Braz-TESOL conference in São Paulo. I’m glad I’m taking with me a greater deal of readings and experience. I don’t know if you feel the same way, but I think the more we learn, the more we profit from other people’s speeches, talks, and workshops. It’s much easier for us to ‘fill in the gaps’ and ‘create bridges’. In addition to that, I’m also looking forward to meeting some people who have been reading this blog and with whom I had chances to have conversations either through the comments but also on Twitter. Too bad there’ll be no wi-fi available, but I’m sure it’s going to be worth it. It sounds like this conferences has had a big impact on your teaching journey (and that of others as a result of what you have taken away from it). Enjoy it! Looking forward to your reflections afterward. I’ve just returned from the convention! It was wonderful and there are lots of other memories (and many thoughts) to share. I’m going to blog about it as soon as possible.